By Peter Anderson 8 Comments - The content of this website often contains affiliate links and I may be compensated if you buy through those links (at no cost to you!). Learn more about how we make money. Last edited April 23, 2019 . If you've been paying attention to the news within the past few months, you've likely been hearing a lot about the rise of the robo-advisor. 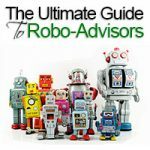 Robo-advisors is the term given to any number of automated investing services that have popped up in recent years that aim to make investing easier, more affordable and in some instances negate the need for a traditional financial or investment advisor. While their investment recommendations vary to some degree, many of them use algorithms based on Modern Portfolio Theory (MPT) to aid in choosing diversified investments and asset allocation based on your risk tolerance. MPT helps to maximize expected return for your portfolio based on your risk profile. While I still think that some people could benefit from working with a human financial planner one on one, I do think that for most investors using an automated investing service makes a ton of sense. Today I thought I would do a review of Wealthfront, one of the top and most well respected automated investing services available today. Wealthfront launched their automated investment service in 2011 and the company is currently based in Redwood City, California. In 2012 Wealthfront launched a daily tax-loss harvesting service. From 2013 to 2014 the company went through some tremendous growth, growing by over 450% in one year. By 2019 Wealthfront now has more than $12 billion of assets under management. Wealthfront never holds your portfolio when you invest with them, they just manage it. The portfolio is actually held with Royal Bank of Canada. When you sign up for Wealthfront you start by completing a questionnaire that is aimed at determining your risk tolerance. Once your risk tolerance is determined asset allocations are set that will remain the same regardless of how much you have invested. The portfolios are based on a mix of 6 – 8 asset classes that includes both U.S. and international stocks and bonds. They invest mainly via the following ETFs, although that is subject to change. 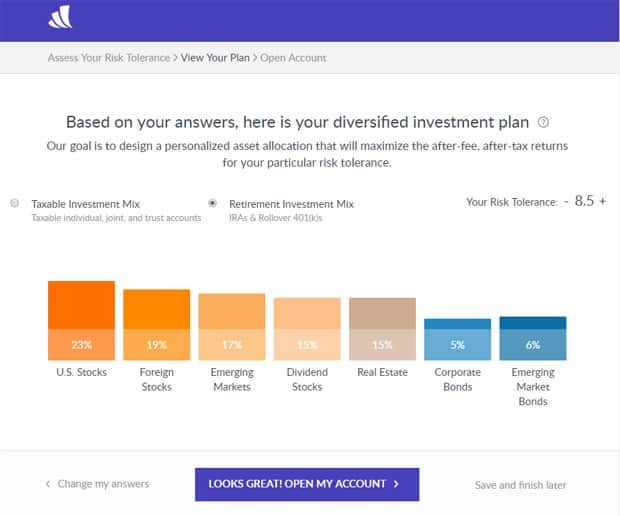 When you invest with Wealthfront your diversified asset allocation will depend on the tax status of your account (taxable or tax deferred), and what is the most tax efficient method of investing for you. In essence, you'll get a highly diversified, low cost portfolio that is suited to your level of risk, time horizon and other factors. Signing up for Wealthfront is a quick process. Here's what you'll need to do. Go to Wealthfront.com and click on “Invest Now”. Once you begin the signup process it will first have you go through a risk tolerance assessment. Once you've answered all the questions, it will give you a quick rundown of what assets and allocation that they would suggest for you, in both a taxable account and retirement account. If everything looks OK, you're ready to open your account. Once you submit your application and confirm your email address you just have to wait for your account to be approved. After approval you can login to your account dashboard to confirm transfers, view your account summary, view your plan, transactions, documents and more. 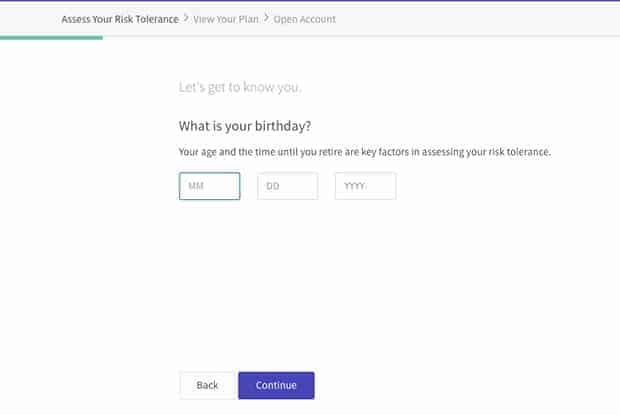 So what are some of the features that you get when you open a Wealthfront account? So what do you invest in when investing with Wealthfront? We invest with an equity orientation to maximize long-term returns. Each of our selected asset classes is represented by a low cost, passive ETF. We continuously monitor and periodically rebalance your portfolio to maximize your chance of investment success for the long run. We also attempt to minimize your taxes by analyzing the taxes likely to be generated by any given asset class, and then allocating different asset classes in taxable and non-taxable (retirement) portfolios. We use Modern Portfolio Theory (MPT) to identify the ideal portfolio for each client. Your portfolio will consist mainly of low cost ETF index funds that will be tailored to your risk tolerance, with intelligent dividend reinvestment and regular portfolio rebalancing. It is fully diversified. For a complete look at the Wealthfront strategy you can check it out here. Tax loss harvesting: Tax-loss harvesting essentially takes investments that have declined in value and selling them at a loss, generating a tax deduction. The tax deduction helps to reduce your taxes. Wealthfront's service allows daily tax harvesting to be possible, which can help to maximize gains versus a traditional year end tax loss harvesting. This service is available at no extra cost to investors. Stock-level Tax-Loss Harvesting: Available for no extra cost to taxable accounts over $100,000, Stock-level Tax-Loss Harvesting is an enhanced form of Tax-Loss Harvesting that looks for movements in individual stocks within the US stock index to harvest more tax losses and lower your tax bill even more. Risk Parity: Available for an additional 0.03% to taxable accounts over $100,000, Risk Parity is an alternative methodology to allocate capital across multiple asset classes, much like Modern Portfolio Theory (MPT), also known as mean-variance optimization. Historically, Risk Parity has generated better returns for a given level of portfolio risk than the more common MPT. Smart Beta: Available for no extra cost to taxable accounts over $500,000, Smart Beta is an investment feature designed to increase your expected returns by weighting the securities in the US stock index of your portfolio more intelligently. Wealthfront also invests in index funds which tend to have little turnover, and as such will likely realize lower capital gains taxes. They also use dividends to rebalance your portfolio throughout the year, lowering capital gains. They optimize asset classes and allocations depending on whether an account is taxable or tax advantaged. With Wealthfront you're never going to pay fees for purchase of the ETFs in your account. Wealthfront is constantly innovating, and has had a myriad of other updates in the past year or so, all designed to make investing easier, more efficient, and to bring you better returns. Here are a few of the features and functionality that set them apart. 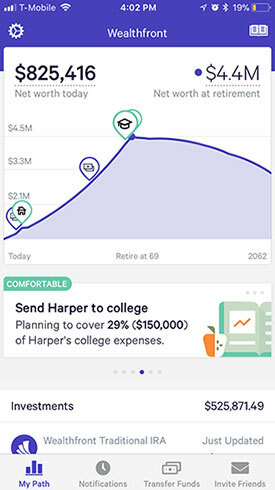 Free Financial Planning: The new free financial planning experience, unique to Wealthfront, using the Path planning engine. Tailored Transfers: Instead of selling everything at once, use our tailored transfer process to migrate your investments tax-efficiently over time. 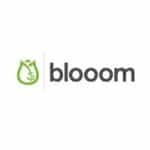 Portfolio Line of Credit: This line of credit is available for any Wealthfront client with an Individual or Joint Wealthfront account valued at $100,000 or more. There’s no set up – if you’re an eligible Wealthfront client then you already have access. Your line of credit is secured by your diversified investment portfolio, so current rates are as low as 3.25-4.5% depending on account size – lower than most HELOC loans. Borrow the amount you need up to 30% of account value, when you need, for whatever you want. Repay on your own schedule. 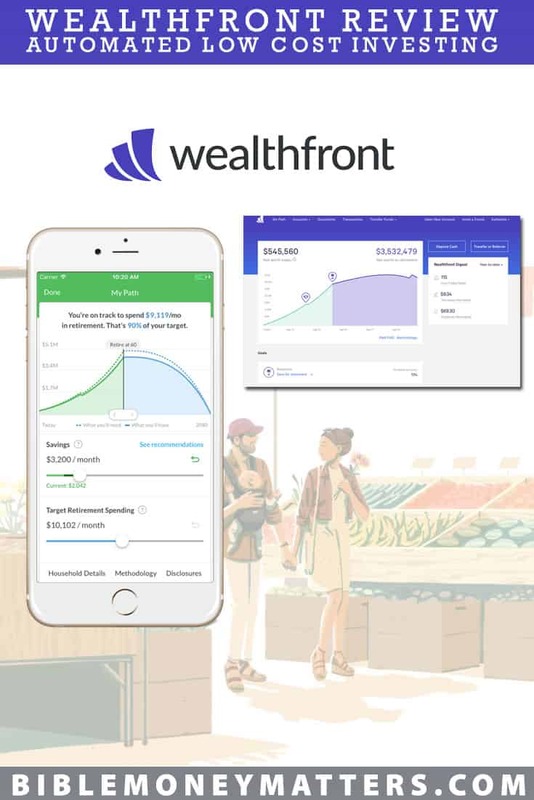 In December of 2018 Wealthfront became the first robo-advisor to offer software based financial planning for free to anyone through their app or on their website. Some other services will offer planning to clients, but usually at a premium, and only through a call with a CFP on the phone. With Wealthfront's financial planning tools you can connect to your existing financial accounts in a few minutes, and then by tracking your actual spending and saving patterns to help you figure out how your financial future may look. It helps you to figure out how much you need to save now to reach your future goals, and helps you to determine if you'll be able to live the same lifestyle you live now, in retirement. The free financial planning help takes the guesswork out of figuring out if your hoped for future is even attainable based on your current spending and saving patterns. It helps you take a look at “what-if” scenarios, and help you figure out what the impact of a raise at work, or saving more every month might be. The financial planning software brings clients out of the window-shopping phase of home buying and into planning and saving with the help custom advice and recommendations. The Path advice engine uses third party data on home prices and mortgage rates combined with your financial information to provide an accurate estimate of what you can expect to afford when ready to purchase a home — whether it’s six months or five years from now. The home affordability estimate given by the tool even accounts for expenses beyond the mortgage, such as closing costs, property taxes, maintenance, and insurance. In addition they also now have a College planning tool that looks at every important aspect of college planning and deliver a complete, personalized assessment. It will allow you to choose a college that your child may attend, enter some personal data about yourself, after which it will calculate the financial aid you can expect to receive at that school. Then you can setup how much to save, and see the effect of adding more to your savings. At the end you can link it to your Wealthfront 529 College Savings Plan! 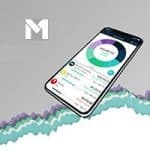 This is another investment account unique to Wealthfront. They offer one of the lowest cost 529 plans from an advisor, that offers more diversification for higher returns. (Many plans offer a very limited range of investment options). A recent Sallie Mae study shows that more and more parents are saving for college, but are nowhere near prepared to meet their goals because they are saving solely through savings accounts earning less than 1% interest. The Wealthfront 529 College Savings Plan was created to help change this, to help parents grow their child's college savings, while minimizing the amount of risk based on your level of risk tolerance. Wealthfront’s 529 uses 20 different glide paths, tailored to match both the beneficiary’s age, as well as the account owner’s financial situation and risk tolerance. Our glide paths transition asset allocations much more continuously, which again means you may be less likely to be hurt by market movements. This is definitely something to check out if you're interested in saving for your child's education. Wealthfront recently implemented a great new tool for savers. If you've got cash you want to keep out of the market and low risk, but you still want to earn a good amount of interest on it, the Wealthfront Cash Account might be just what you're looking for. The cash account is an FDIC insured account (up to $1 million dollars, 4 times the traditional bank insurance), that charges no fees and has only a $1 minimum. At the time we updated this article it's currently earning a very good 2.29% APY. The Bankrate industry average savings rate is only 0.10%! You now earn over 22x more than the national average on cash balances! It's fast and easy to setup your cash account, it takes just minutes. 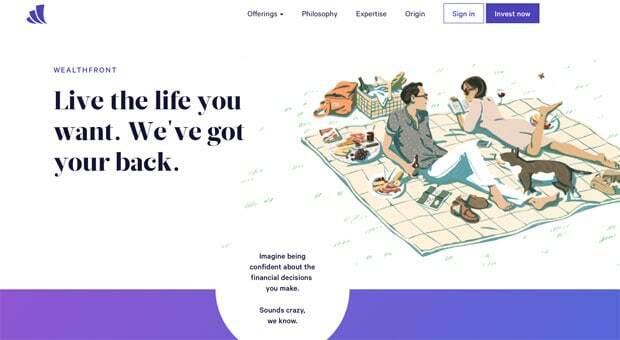 Definitely worth checking out – whether you already have a Wealthfront account or not. What are the fees that you'll have to pay for the Wealthfront investment service? The good news is they offer some extremely competitive rates. Wealthfront charges a monthly advisory fee based on an annual fee rate of 0.25%. The only other fee you incur is the very low fee embedded in the cost of the ETFs you will own that averages 0.15%. 0.25% annual fee of assets. NOTE: Sign up via the exclusive Bible Money Matters link, and get $5,000 managed for free! So if you have $10,000 in your account and you signed up via our link, you'll have no charge for the first $5,000, and a 0.25% fee on the second $5,000. When you sign up you'll also have the chance to refer other users to the service to earn $5,000 more per user in free asset management, beyond the first $5,000. If you know enough people who want to sign up, you could definitely increase the amount managed for free very quickly! An account with Wealthfront does come with a minimum balance. Our account minimum is $500, which entitles you to a periodically rebalanced, diversified portfolio of low cost index funds enhanced with our daily tax-loss harvesting service (for taxable accounts).The account minimum required to qualify for our Stock Level Tax-Loss Harvesting is $100,000. So to open an account, you'll need a minimum of $500. Why not start with $500, and then fully fund your Roth IRA for the year ($5500 for 2018)? There is also a minimum withdrawal of $250, and you can't withdraw below the account minimum of $500. If you withdraw all of your funds it will transfer your money and close your account for you, with no exit fees. When I first heard about Wealthfront a few months ago, I wasn't sure if it would be a service that I could recommend. After doing my due diligence, however, I believe they're a great service that would be perfect for a lot of people. Wealthfront is the only robo advisor who offers investment management, financial planning and banking-related services through their software. Anyone can open a Wealthfront investment account and receive a personalized, globally-diversified investment portfolio and access a variety of tax-efficient services. I'd highly recommend giving them a chance if you're looking for an easy place to start investing – that will work for you over the long haul. Thanks for sharing this article about Wealthfront. I am new to investing, and I’m trying to learn more about it. Index funds sound like the best way to go for investing. But I am wondering what the risks of investing are? Investing seems like the only way to really build wealth, but you could lose money too, right? What are the chances of losing money? I don’t want to build a retirement account with the chance of losing it. Also, are you allowed to make withdrawals on a Roth IRA? thanks! Yes, you are allowed to make withdrawals from a Roth IRA – contributions can always be withdrawn without penalty. Full Roth IRA withdrawal rules here. Great review! I’m new to investing and am just feeling everything out and this helped a lot! Right now I’m letting Vanguard do the heavy lifting for my investing and only spending 15 minutes a month on it. If I feel the need to diversify I can see myself taking a closer look at Wealthfront. I do like the old name better though. Hello All, WealthFront is a way better tool. Please try once, there is nothing to lose. If you accept my invitation to Wealthfront, we’ll both get an additional $5,000 managed for free. thanks for posting such article, i didn’t know much about wealthfront, but this taught me something new i would love to invest.